Hot on the heels of Google removing Notable Online from the desktop search results, Google has also removed most of the sitelinks from the desktop search results too. 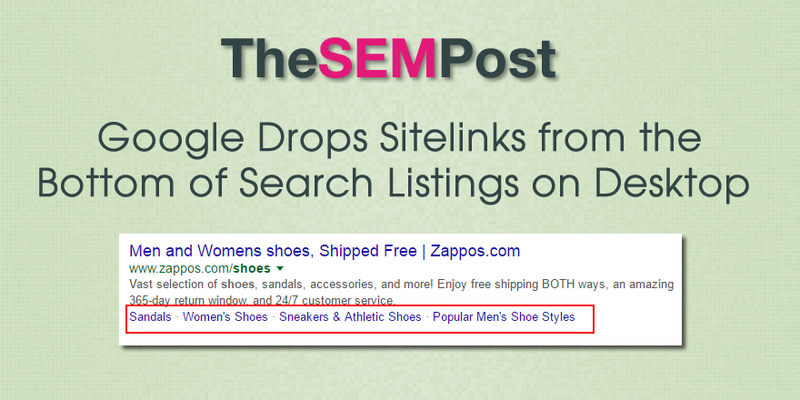 Right now, only sites that have expanded sitelinks – usually brand searches – still have sitelinks with descriptions. 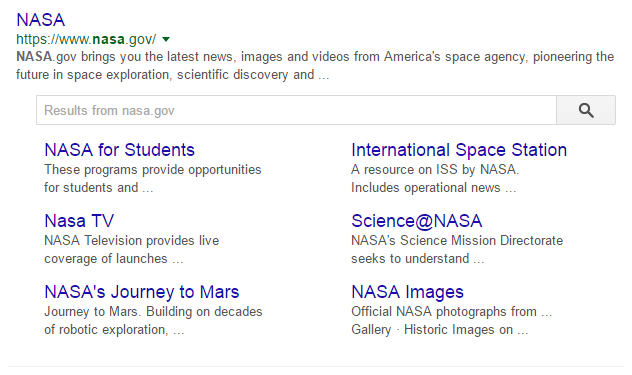 But the sitelinks that appear at the bottom of individual search results have been removed. Frank Sandtmann was the first to notice they dropped out of the search results this morning, and it seems to be worldwide. Here is the results with sitelinks. And here it is without. Sites have kept their full sitelinks for brand searches though. Google has been removing features from the desktop search results over the past year to make it match mobile more closely, so this isn’t a change. But, it does make one wonder what will be next on the desktop chopping block. This seems to be replicated worldwide and doesn’t appear to be a test.